Professor Hong's research interests include model specification testing, nonlinear time series analysis, generalized spectral analysis, econometrics of time-varying models, financial econometrics, interval-valued time series econometrics, and evaluation of Chinese economic policies. On specification testing, Professor Hong develops a class of sophisticated semiparametric tests for econometric models of cross-sectional, time series, and panel data respectively. The basic idea is to compare a null econometric model with a flexible nonparametric alternative, developing tests that have power against various model misspecifications. Nonparametric tools used include orthogonal series, kernel, and wavelet methods. In Hong and White (1995, Econometrica), a generalized F test is developed by comparing the sums of squared residuals of a parametric regression model and a nonparametric series regression model where the order of the series expansion grows with the sample size, ensuring the test able to detect various functional form misspecifications. This methodology is extended in Hong (1996, Econometrica) to test a dynamic regression model. This is achieved by comparing a nonparametric kernel estimator for the spectral density of the estimated model residual with the flat spectrum of a serially uncorrelated white noise. An optimal kernel function or weighting function for lags is derived to ensure that the proposed test has optimal power. This test is generalized in Hong and Kao (2004, Econometrica) to a panel data regression model where wavelets are used in nonparametric spectral density estimation. Hong and Lee (2013, Annals of Statistics) show that a loss function-based specification testing approach is asymptotically more efficient than a generalized likelihood ratio test approach which includes the tests based on comparing sums of squared residuals. Another main area of Professor Hong's research interests is nonlinear time series analysis, locally stationary time series analysis, and generalized spectral analysis. Observing that many economic and financial time series are serially uncorrelated but not serially independent, Hong (1998, Journal of Royal Statistical Society, Series B; 2000, Journal of Rayal Statistical Society, Series B) develops nonparametric Hoeffding-type measures of and tests for serial dependence in a time series which can detect subtle dependence structure. In particular, Hong and White (2005, Econometrica) develop a challenging asymptotic distribution theory for smoothed nonparametric entropy measures of serial dependence which was not previously available in the literature. Chen and Hong (2012, Econometrica) propose a new approach to testing parameter constancy of a time series regression model against smooth structural changes as well as abrupt structural breaks. On another important development, Hong (1999, Journal of American Statistical Association) proposes a new analytic tool for nonlinear economic time series -- the generalized spectrum. The basic idea is to transform original time series data via a complex-valued exponential function and then consider the spectrum of the transformed series. This can capture both linear and nonlinear serial dependence while avoiding the drawbacks of the conventional spectrum, which cannot capture nonlinear serial dependence, and higher order spectra (e.g., bispectrum), which requires the existence of restrictive moment conditions. Real data applications (e.g., Hong and Lee (2003a, Review of Economics and Statistics)) show that the generalized spectral tool can detect dynamic structures which would otherwise be neglected by conventional tools, thus offering new insights into economic and financial time series data. The generalized spectrum is also used to develop powerful procedures for nonlinear time series analysis. For example, Hong and Lee (2003b, Econometric Theory) use it to check any neglected dependence structure in the estimated standardized residuals of a nonlinear time series model, and Hong and Lee (2005, Review of Economic Studies) use the first order partial derivative of the generalized spectrum to focus on neglected nonlinearity in the conditional mean dynamics of a time series model. Hong and Lee (2003b, Econometric Theory) win the Koopman Econometrics Prize 2006. Hong also works on financial econometrics. Hong and Li (2005, Review of Financial Studies) develop a nonparametric specification test for continuous-time models using discretely sampled data. The basic idea is to consider transformed data via the model-implied dynamic transition density, which should be independent and uniformly distributed if the continuous-time model is correctly specified. The proposed test is generally applicable and robust to persistent dependence in data because the i.i.d. property holds even if the original data display highly persistent dependence. Hong, Tu and Zhou (2007, Review of Financial Studies) develop copula-based tests for asymmetric dependence in asset returns and assess their economic implications. Professor Hong has recently started a research on modeling interval-valued time series data. An interval-valued observation in a time period contains more information than a point-valued observation in the same time period. Examples of interval data include the maximum and minimum temperatures in a day, the maximum and minimum GDP growth rates in a year, the maximum and minimum stock prices in a trading day, the ask and bid prices in a trading period, the long term and short term interest, and the 90%-tile and 10%-tile incomes of a cohort in a year, etc. Interval forecasts may be of direct interest in practice, as it contains information on the range of variation and the level of economic variables. Moreover, the informational advantage of interval data can be exploited for more efficient econometric estimation and inference. Hong and his coauthors propose a new class of autoregressive conditional interval (ACI) models for interval-valued time series data. A minimum distance estimation method is developed to estimate the parameters of an ACI model. Both simulation and empirical studies show that the use of interval time series data can provide more accurate estimation for model parameters in terms of mean squared error criterion. Another current research of Professor Hong is econometrics of time-varying models, where parameters in time series models are changing over time, due to (e.g.) technology progress, population change, preference shift, policy shock, and institutional reforms. Chen and Hong (2012, Econometrica) propose a nonparametric test for smooth structural changes in time series regression models, and Chen and Hong (2016, Econometric Theory) propose a nonparametric test for smooth structural changes in time series volatility models. Hong, Wang and Wang (2017, International Economic Review) propose a model-free test for strict stationarity for time series data against alternatives of evolutionary structural changes, and Sun, Hong and Wang (2018, Working paper) proposes a nonparametric method to distinguish whether a structural change in a time series data, if any, is abrupt structural break or smooth structural change. In a rolling out-of-sample forecast framework with smooth-changing parameters, Hong, Sun and Wang (2018, Working paper) propose a data-driven method to determine the optimal rolling window that will yield the best out of sample forecasts in terms of the forecast mean squared error criterion. 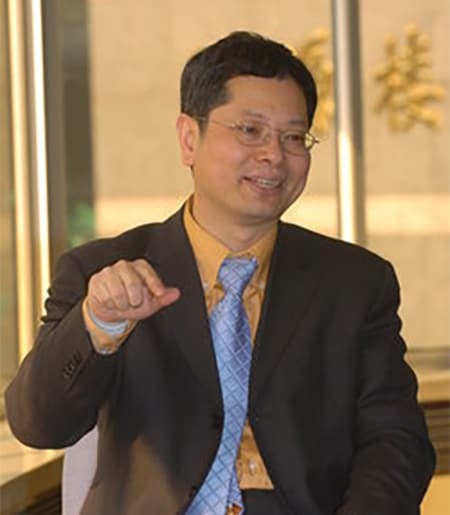 Professor Hong has also worked on evaluation of the Chinese economic policies. Examples include empirical evaluation of the effectiveness of the Chinese government policy to support for new strategic industries, and the impact of construction of high-speed railways on local economy in China (see, e.g., Ke, Chen, Hong and Hsiao (2017, China Economic Review)). This course gives a solid probabilistic and statistical background for meaningful applications of econometric methods and tools. Topics include (1) probability theory: probability spaces, random variables, distributions, moments, transformations, conditional distributions, distribution theory and the multivariate normal distribution, convergence concepts, laws of large numbers, central limit theorems, Monte Carlo simulation; (2) statistics: sample statistics, sufficiency, exponential families of distributions, maximum likelihood estimation, and hypothesis testing. Further topics in statistics are considered in ECON 6200. This is an advanced topics course on modern time series analysis. It aims to provide a systematic and unified treatment of linear and nonlinear time series econometrics, in both theory and applications. The topics covered include basic concepts in time series analysis, linear and nonlinear analytic tools such as autocorrelation, spectral density, generalized spectral density, and nonparametric methods. It also introduces linear time series models and a variety of nonlinear time series models, such as autoregressive threshold, Markov-chain regime switching, autoregressive smooth transition, autoregressive conditional heteroskedasticity (ARCH), and autoregressive conditional density models. As an important feature of this course, it provides motivation, intuition and potential applications of time series methods, models and tools from an economic perspective. It is hoped that this course will stimulate more interests in developing time series econometric methods and tools which can be applied to the empirical studies in economics and finance. A Model-free Approach to Testing Instability of a Time Series Regression Model, with Z. Fu, Forthcoming in Journal of Econometrics. Threshold Autoregressive Models for Interval-valued Time Series Data, with Y. Sun, A. Han, and S. Wang, Journal of Econometrics 206 (2018), 414--446. Characteristic Function-based Testing for Conditional Independence via a Nonparametric Regression Approach, with X. Wang, Econometric Theory 34 (2018), 815-849, doi:10.1017/S026646661700010X. Testing Strict Stationarity with Applications to Macroeconomic Time Series, with X. Wang and S. Wang, International Economic Review 58 (2017), 1227-1277. Detecting for Smooth Structural Changes in GARCH Models, with Bin Chen, Econometric Theory 32 (2016), 740-791. A Unified Approach to Validating Univariate and Multivariate Conditional Distribution Models in Time Series, with B. Chen, Journal of Econometrics 178 (2014), 22-44. A Loss Function Approach to Model Specification Testing and Its Relative Efficiency, with Y. Lee, Annals of Statistics 41 (2013), 1166-1203. Testing for Smooth Structural Changes in Time Series Models via Nonparametric Regression, with B. Chen, Econometrica 80 (2012), 1157-1183. Testing for the Markov Property in Time Series, with B. Chen, Econometric Theory 28 (2012), 130-178. Testing the Structure of Conditional Correlations in Multivariate GARCH Models: A Generalized Cross-Spectrum Approach, with N. McCloud, International Economic Review 52 (2011), 991-1037. Generalized Spectral Testing for Multivariate Continuous-time Models, with B. Chen, Journal of Econometrics 164 (2011), 268-293. Detecting Misspecifications in Autoregressive Conditional Duration Models and Non-negative Time-series Processes, with Y.-J. Lee, Journal of Time Series Analysis 32 (2011), 1-32. Characteristic Function-based Testing for Multifactor Continuous-time Markov Models via Nonparametric Regression, with B. Chen, Econometric Theory 26 (2010), 1115-1179. Granger causality in risk and detection of extreme risk spillover between financial markets, with Y. Liu and S. Wang, Journal of Econometrics 150 (2009), 271-287. Model-Free Evaluation of Directional Predictability in Foreign Exchange Markets, with J. Chung, Journal of Applied Econometrics 22 (2007), 855-889. Asymmetries in Stock Returns: Statistical Tests and Economic Evaluation, with J. Tu and G. Zhuo, Review of Financial Studies 20 (2007), 1547-1581. Can the Random Walk Model be Beaten in Out-of-Sample Density Forecasts: Evidence from Intraday Foreign Exchange Rates, with H. Li and F. Zhao, Journal of Econometrics 141 (2007), 736-776. An improved generalized spectral test for time series models with conditional heteroskedasticity of unknown form, with Y. Lee, Econometric Theory 23, 106-154. Validating Forecasts of the Joint Probability Density of Bond Yields: Can Affine Models Beat Random Walk?, with A. Egorov and H. Li, Journal of Econometrics 135 (2006), 255-284. Asymptotic theory for nonparametric entropy-based measure of serial dependence, with H. White, Econometrica 73 (2005), 837-901. Generalized spectral testing for conditional mean models in time series with conditional heteroskedasticity of unknown form, with Y. Lee, Review of Economic Studies 72 (2005), 499-541. Nonparametric specification testing for continuous-time models with applications to spot interest rates, with H. Li, Review of Financial Studies 18 (2005), 37-84. Wavelet-based consistent testing for serial correlation in panel models, with D.Kao, Econometrica 72 (2004), 1519-1563. Out-of-sample performance of discrete-time short-term interest models, with H. Li and F. Zhao, Journal of Business and Economic Statistics 22 (2004), 457-473. Inference on predictability of exchange rates via generalized spectrum and nonlinear time series models, with T. H. Lee, Review of Economics and Statistics 85 (2003), 1048-1062. Diagnostic checking for the adequacy of nonlinear time series models, with T.H. Lee, Econometric Theory 19 (2003), 1065-1121. One-sided testing for ARCH effects using wavelets, with J. Lee, Econometric Theory 17 (2001), 1051-1081. A test for volatility spillover with application to exchange rates, Journal of Econometrics 103 (2001), 183-224. Testing serial correlation of unknown form via wavelet methods, with J. Lee, Econometric Theory 17 (2001), 386-423. Generalized spectral tests for serial dependence, Journal of the Royal Statistical Society, Series B (Statistical Methodology), 62 (2000), 557.574. Hypothesis testing in time series via the empirical characteristic function: a generalized spectral density approach, Journal of the American Statistical Association 94 (1999), 1201-1220. A new ARCH test and its finite sample performance, with R. Shehadeh, Journal of Business and Economic Statistics 17 (1999), 91-108. Testing for pairwise serial independence via the empirical distribution function, Journal of the Royal Statistical Society Series B (Statistical Methodology), 60 (1998), 429-453. One-sided testing for autoregressive conditional heteroskedasticity in time series models, Journal of Time Series Analysis 18 (1997), 253-277. Testing for independence between two covariance stationary time series, Biometrika 83 (1996), 615-625. Consistent testing for serial correlation of unknown form, Econometrica 64 (1996), 837-864. Consistent specification testing via nonparametric series regressions, with H. White, Econometrica 63 (1995), 1133-1159. China's evolving managerial labor market, with T. Groves, J. McMillan and B. Naughton, Journal of Political Economy 103 (1995), 873-892. Autonomy and incentives in Chinese state enterprises, with T. Groves, J. McMillan and B. Naughton, Quarterly Journal of Economics CIX (1994), 183-209. Advanced Econometrics, China Higher Education Publisher, 2011, Beijing [in Chinese]. Probability and Statistics for Economists, World Scientific Company, 2018. Advanced Econometrics, Higher Education Press, 2011.